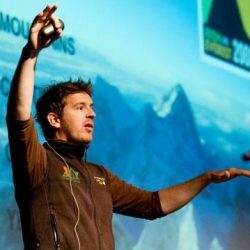 Ian Taylor is the youngest Irishman ever to have climbed Mount Everest, and now manages his own trekking company. He has participated in charity foundations and raised €70,000 to help build a primary school in Uganda. Ian is an inspiring team leader, motivational and leisure speaker, passionate about helping people succeed in reaching their goals. During a holiday in South America in 2005, Ian Taylor trekked the Inca Trail to Machu Picchu despite his inexperience and fear of heights. Ian struggled both physically and mentally but the struggle inspired him to take on the challenge of climbing Mount Everest. In 2007, Ian and his friend set out to climb four mountains on four continents in one year, with Mount Everest as the final climb. On May 23 2008, after having been deemed unfit to do so by professionals, Ian Taylor became the youngest Irishman to stand on the top of the world. In addition, Ian took on a charity element in collaboration with the Irish charity organisation Fields of Life, raising €70,000 to build the Mt. Everest primary school in Uganda. As well as temperatures from +40c to -40c, Ian has braved his own fears, demons and the mountains. He has faced extreme challenges, in which he even saved a fellow climbers life. Ian’s story is a remarkable one consisting of teamwork, drive and ultimately success. Ian manages his own trekking company, Ian Taylor Trekking, training and preparing teams for their treks around the world. 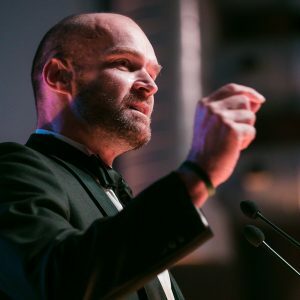 He has years of experience of managing teams in a business environment, and was involved with the Ireland to Everest 2012, using his skills to help others achieve their dreams on Everest. Ian is a team leader, motivational and leisure consultant: He has climbed Kilimanjaro 18 times now, and has lead hundreds of people to reach their goals in the mountains. Keep an eye out for Ian’s Everest DVD Documentary ‘ A Summit Calling ‘ and his upcoming book ‘A phenomenal journey, A story that needs to be told’.